Mary M. Jones, only child of Robert S McCullough & Gladys Wilder. She was born 08/01/1926 in Evansville IN. 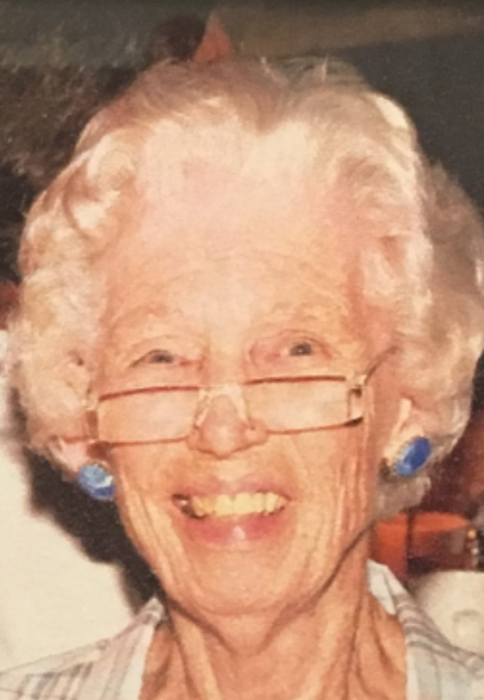 She passed peacefully with family on 04/12/2019 in Jacksonville Beach, FL. Mary attended Mackey HS in Mackey, IN. She worked at Indiana Bell Telephone for 26 years. Survived by husband of 63 years, Russell E Jones; daughter, Mary Ann Jones (Annie); grandchildren, Joseph A. & Camilla L. Adams. Mary was a member of Danville Eastern Star, Danville Friends Church. She moved to Jacksonville Beach, Florida in 1988. A member of FOBBL, a local library group whose goal it was to raise funds for the local beaches branch library. She was also a member of the Women’s Club and volunteered at the voting polls for many years. She left behind many, many friends in FL. She was always willing to jump in & help anyone. She never sat still. She had an abundance of energy. She was a wonderful seamstress having sewn many of her own clothes and she made many beautiful quilts by hand. A graveside service will be held at 11:00 am on Friday, April 19, 2019 at the Danville South Cemetery. Baker Funeral Home, Danville, is in charge of the local arrangements.